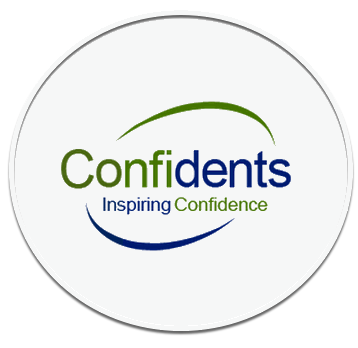 At Confidents Denture clinic we offer a complete New Denture Service, which includes New Denture Moulding & Fitting. For more information, please call us on 0121 426 3500 for more information. There are many reasons why you might be losing your teeth, but that doesn’t have to be an issue. Whether it’s through illness, an accident, a lack of dental care or age, Confidents Denture Clinic are here to help. For a free consultation, call us today on 0121 663 1190 or visit our new look surgery on 19 Albert Road, Harborne, Birmingham, B17 OAP and let us put your mind at ease. There is a vast number of options when it comes to choosing your dentures. You’ll be getting the benefit of 35 years’ experience so you can be sure of getting exactly what’s best for you. The range of denture teeth we use look incredibly natural and we’ll make sure you have all the facts you need to make an informed decision about your new dentures. We’ll talk you through every step of the process. Using cutting edge technology and high-quality materials you’ll get the best fit for you, be it complete or partial dentures. Our denture expertise doesn’t stop at fitting your new dentures. We’ll be on hand to maintain your dentures and make sure they continue to fit comfortably for years to come. When the time comes for you to replace your dentures, you can be sure of getting the same high level of care and attention when we guide you through the new dentures and treatments.